2) Proceed to install the software. 4) GPU-Z should appear similar to the screenshot below. Next to the words BIOS Version, click on the arrow icon -> choose Save to file. 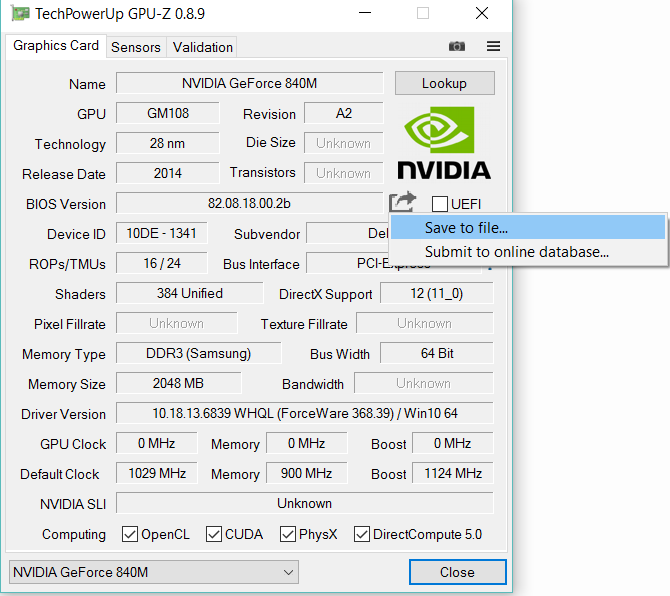 5) Give a name to the file and then provide this file to the NVIDIA support agent.